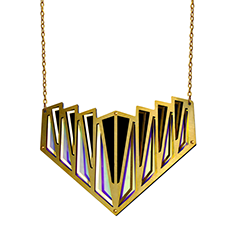 Limited edition laser cut acrylic and brass necklace with gold clasps. 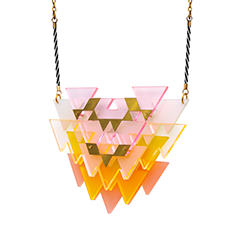 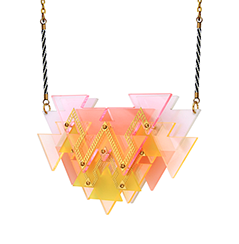 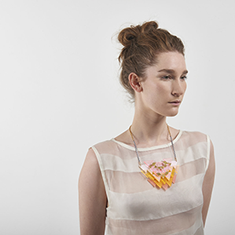 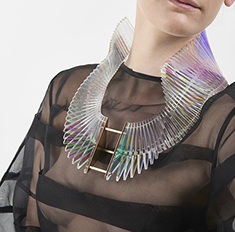 Limited edition hand dyed laser cut acrylic and brass necklace with gold clasps. 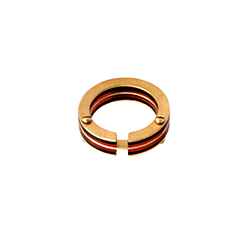 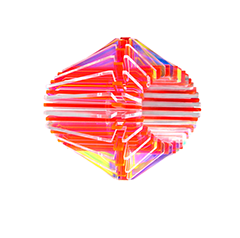 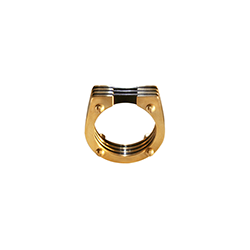 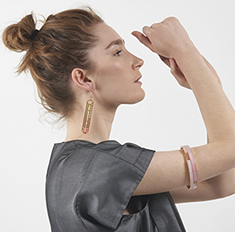 Limited edition laser cut acrylic bracelet with brass detail. 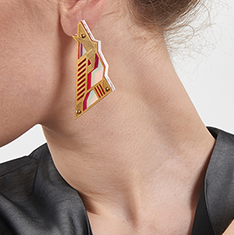 Limited edition laser cut acrylic earrings with etched brass detail and gold earring hooks. 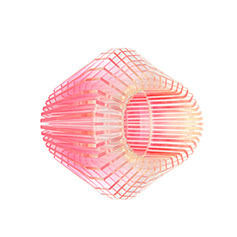 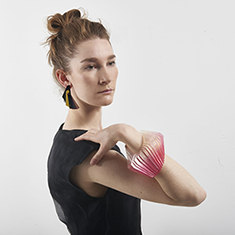 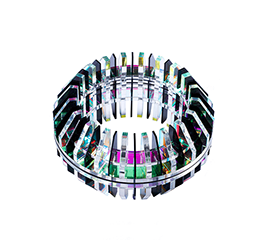 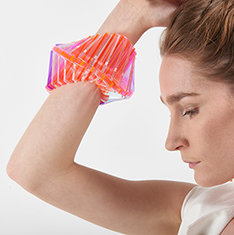 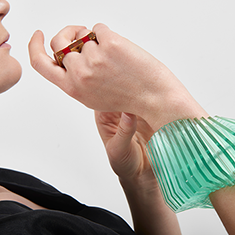 Limited edition hand dyed laser cut acrylic elasticated bracelet with brass detail. 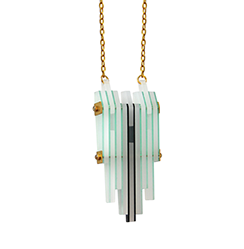 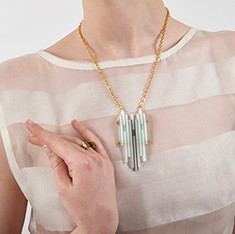 Limited edition laser cut acrylic and brass necklace with rope detail and gold clasps. 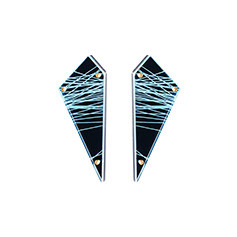 Limited edition laser cut acrylic earrings with etched detail and gold earring posts. 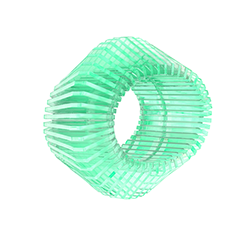 Limited edition etched brass and acrylic ring. 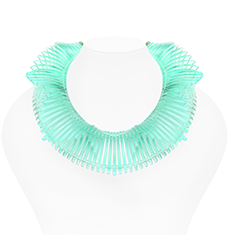 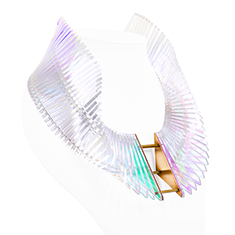 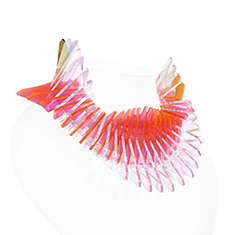 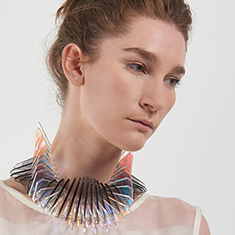 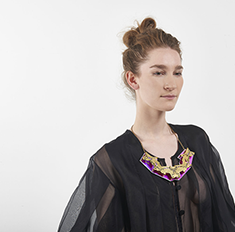 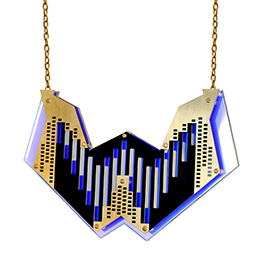 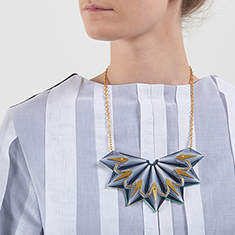 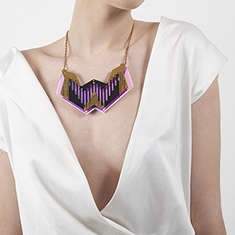 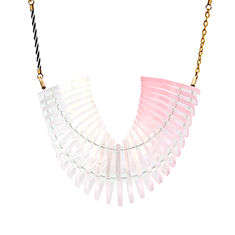 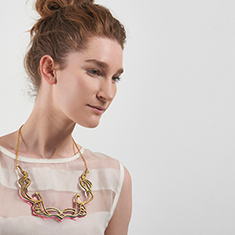 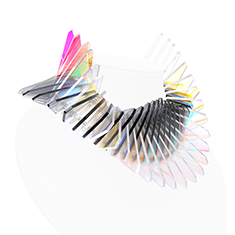 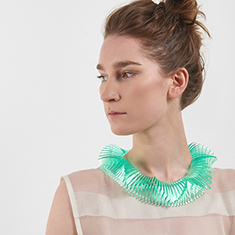 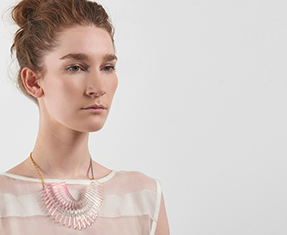 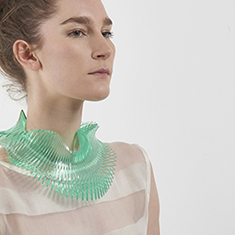 Limited edition laser cut acrylic necklace with brass detail and gold clasps. 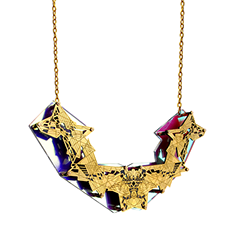 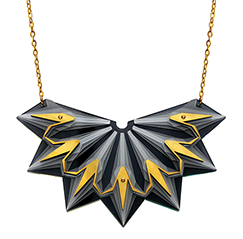 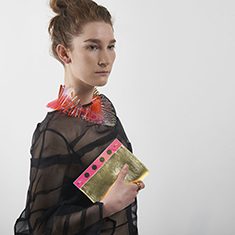 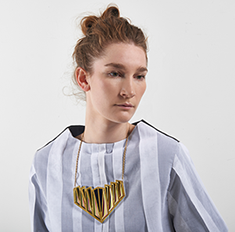 Limited edition folded brass and laser cut acrylic necklace with gold clasps. 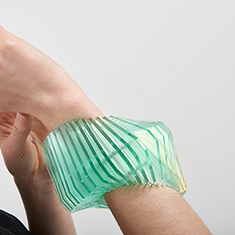 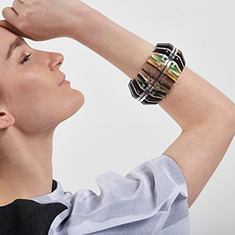 Limited edition laser cut acrylic elasticated bracelet with brass detail. 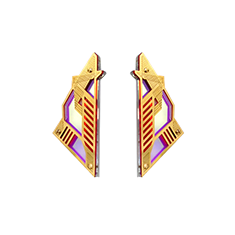 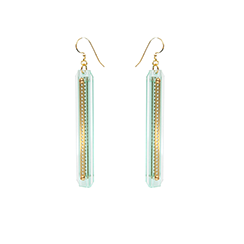 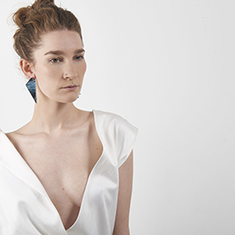 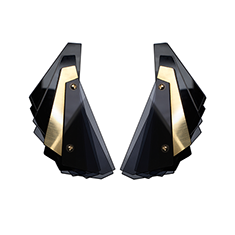 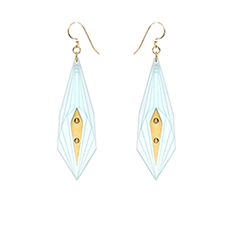 Limited edition laser cut acrylic earrings with brass detail and gold earring posts. 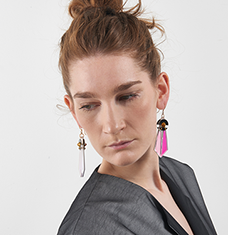 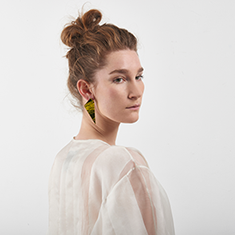 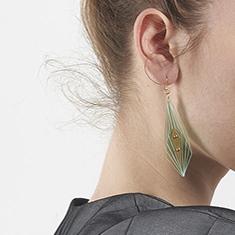 Limited edition hand dyed acrylic earrings with etched brass detail and gold earring hooks. 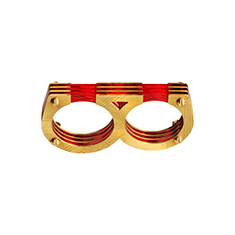 Limited edition etched brass and acrylic double ring. 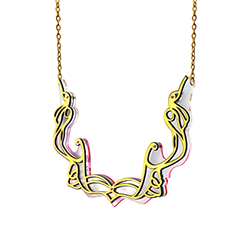 Limited edition etched brass and laser cut acrylic necklace with gold clasps. 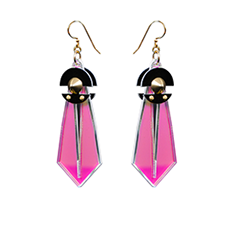 Limited edition laser cut acrylic earrings with brass stud detail and gold earring hooks. 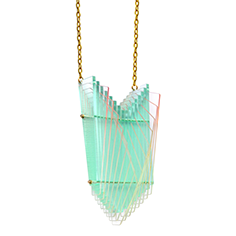 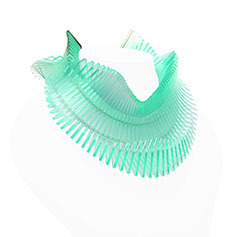 Limited edition hand dyed laser cut acrylic with rope detail and gold clasps. 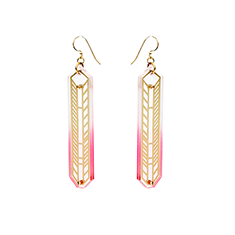 Limited edition etched brass and acrylic earrings with gold earring posts.